SKU: PN815. Category: Austria, European Jewelry, Pins. 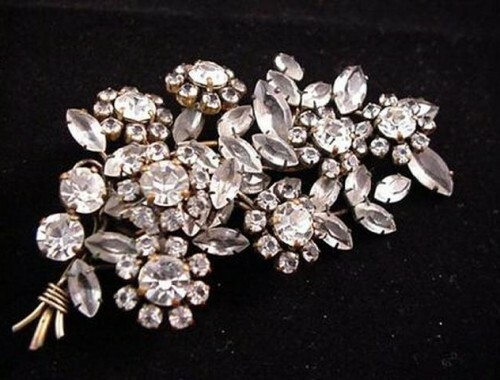 Extraordinary clear rhinestone floral brooch. Probably European origin – Austrian I’d say. Unfoiled clear crystal stones are set in delicate gold tone setting. Measures 4″ by 2″. Excellent condition.